This is an example post using my own website! My jewelry website shows plenty of pieces I've done and links that I have all over the web. 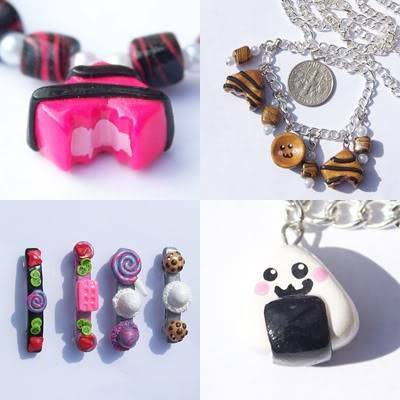 Want adorable jewelry that's yummy enough to eat or happy to see you? Then my jewelry is what you want. :3 I primarily use polymer clay, hence this sub-section. I'm also looking for affies! Hit me up! Thank you! I was hoping for that. If there's anything wrong/weird about it, I always wanna know because sometimes it's hard to check every corner when you make something yourself - broken links etc. Onnn.... this one, I like the beads. :3 I like your hairclips too, cute ideas. It can totally be worth it though. I'll twist a few colors together in spaghetti strands, cut them into pieces and shape them and stab em with some long metal rods I have. Not hard, but just tedious/time consuming when it comes down to it because I glaze them all for extra protection/shine. You make them without a mold? Aah, that's impressive. I bet it is super time consuming, haha. Thank you and yes it is XD I'd probably be smarter to get a mold, but oh well. Your site really nice but i think that some not very good collection here but do you know What a great Murano Glass Jewelry site I found! www.GlassOfVenice.com What I liked about them most is an incredible selection of Murano Glass Jewelry, artwork, accessories and other stuff. I have not seen better prices elsewhere either. 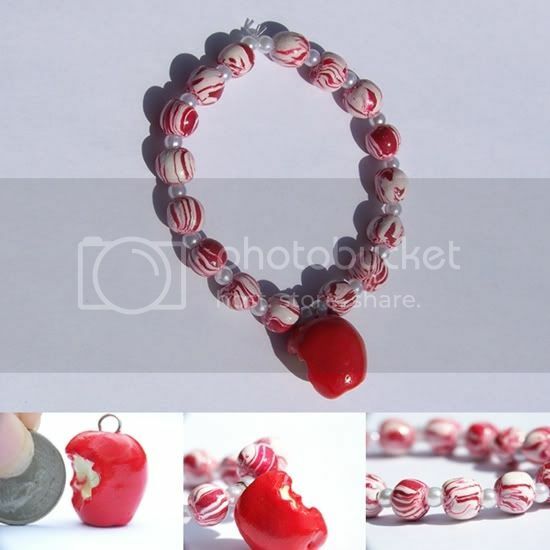 I adore polimer clay jewlery because it is cuteer and cheaper than gold or silver. It fits with younger look. I like your products it suits for my daughter!